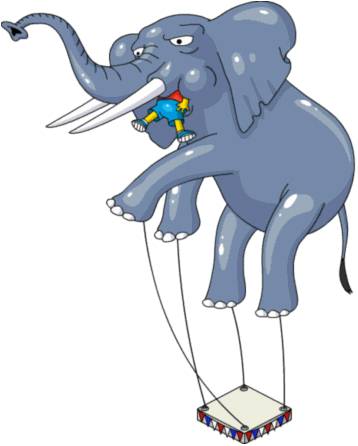 This article is about the Tapped Out's Thanksgiving content update from 2013. 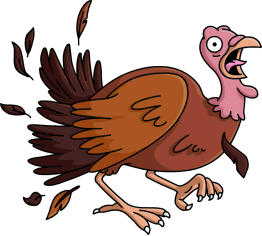 For other year's Tapped Out Thanksgiving content updates, see TSTO Thanksgiving Content Updates. 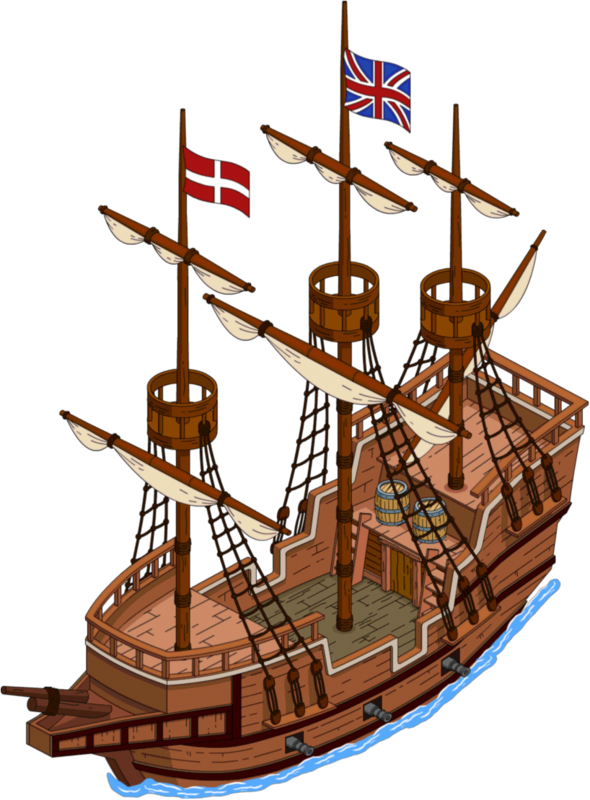 The thirty-sixth content update, known as the Thanksgiving 2013 content update, for The Simpsons: Tapped Out was released officially on November 15, 2013. What's the weird paper stuff in the mailbox? You mean they invented a paper version of electroni mail? Science is amazing! Ooh! A big "mail"! Maybe it's full of more "paper". It's a Sacagawea costume I ordered. I saved up all my Sacagawea dollars to pay for it. Honey, the dollar doesen't have Sacawhoever on it. it has Geroge Washington, the inventor of money. 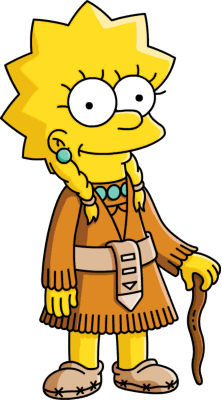 I wanted to dress up as Sacagawea to celebrate the rich cultural history of Thanksgiving. A white girl dressing up lika a native American? I don't know, that sounds a little racist to me. Just give me the costume. 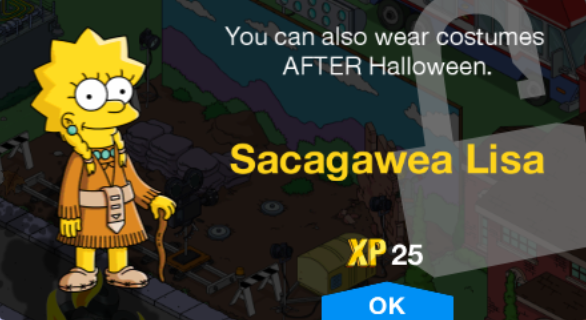 Message Sacagawea Lisa has been placed in your inventory. 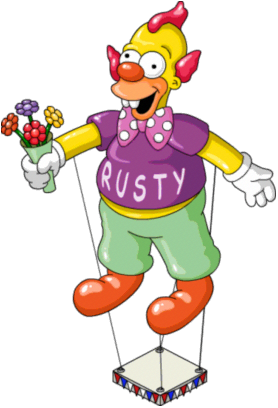 That costume looks great on you Lisa. You're the cutest racist I've ever seen! If I walked around pretending to be W.E.B. Dubois, whoever that is, you'd call ME racist. That's true...but...because...cultural...something...I SPENT ALL MY MONEY ON THIS COSTUME!! Wampum, sweetie. You spent all your wampum on this costume. Dad, I was thinking... maybe this year we could have a vegetarian Thanksgiving. So just because you feel guilty about walking around in a racist costume, I have to suffer? How about "racish?" The "ish" means it's not fully racist, but still a little. Talking to you I feel an even deeper connection with oppressed peoples everywhere. Great, maybe you can dress up as them next. In the meantime, don't change the only thing we know about Thanksgiving: THEY ATE TURKEY. *sigh* I'm the only animal rights activist in this whole town. The player receives "Thankless Thanksgiving Pt. 1" which is to "Make Sacagawea Lisa Sulk". It takes 1 hour and the player receives total 170 and 27 in reward. Oh but that I could turkey you, Mr. Homer. Unfortunatley none of my ususal brands of turkeys were delivered. Not the Butterbutts, not the Gobbler Deluxe, not even a single Drumstick King. If you want a Thaksgiving turkey, your only hope is to go to a farm and buy one. You mean... ME turkey me? The player receives "Thankless Thanksgiving Pt. 2" which is to "Reach Level 6 and Build Cletus's Farm" and "Make Homer Find a Nice Turkey at Cletus's Farm". It takes 2 hour and the player receives total 210 and 45 in reward. Hey Cletus, hook me up with your fattest most juicy turkey! 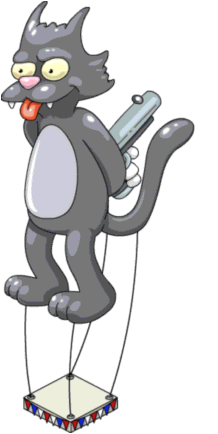 Want me to kill it and pluck it for ya? Why should you have all the fun? I've got a beheading axe in the car... barley used. Well, the turkey's out back. Don't forget to drain the blood. Please. Ending the life of turkeys by draining their blood is my life blood. You a silly feller all right I reckon. When the task is completed. Hey ding-dong, there's no turkeys out there. Just meth labs and kids smoking meth. And a lot of meth just lying around. My gobblers has been taken?! Oh, this is terrible! I'm so sad, I'm gonna need me a whole lotta meth. No Cletus, this is one problem meth can't solve. Did anything strange happen that could explain the missing turkeys? Coulpe a nights ago I was milkin' the cow, and smokin' meth, in the barn when I sees bright lights. ALIENS! They most have been kidnapped by aliens! Why would we eat the dry meat of turkets when we can gorge ourselves on the tender flesh of turkey-fattend humans? Turkey-fattend humans are our foise gras! What about regular foise gras? We would never eat that! It's cruel! Something terrible has happened! I don't have blood on my hands! That sounds like a good thing. Please let it be a good thing. No, the blood on my hands that I crave is turkey blood. But all of the live turkeys are missing! What about a vegetarian turkey? A tofurkey? Or a seitan-urkey? Or a spelt-urkey? How about a barf-urkey with extra barf sauce and a side of barf stuffing, barf potatoes and barfberry jelly with barf pie a la barf for dessert? Vegan food doesn't taste like barf. Except quinoa. Don't worry. I'll get back our turkeys, with an old-fashioned turkey hunt. Now where do we keep our dynamite? The player receives "Thankless Thanksgiving Pt. 3" which is to "Make Homer Organize a Search Party for Missing Turkeys". It takes 24 hour and the player receives total 700 and 160 in reward. Gentlemen. We are about to embark on the most important mission of our lives. Oh dear! Did a child go missing? Did an elderly person with dementia wander off? Did some kinda monkey with a deadly virus escape from a secret lab and we gotta capture it alive to create an antidote before it turns us into Planet of the Apes? Worse. And different. 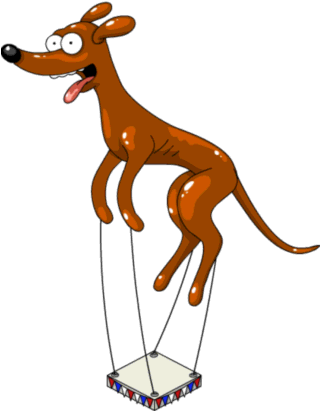 All the turkeys in Springfield have gone missing. It's up to us to hunt them down, otherwise this year's Thanksgiving will be….Vegetarian! The player receives "Thankless Thanksgiving Pt. 4" which is to "Reach Level 15 and Build Moe's Tavern", "Make Moe Hunt for Turkeys", "Make Ned Hunt for Turkeys" and "Make Homer Hunt for Turkeys". It takes 12 hours and the player receives total 1,260 and 450 in reward. We can't find the turkeys anywhere! God will be so sad that we aren't eating his blessed creatures on a day celebrating the stealing of a land from his other blessed creatures. On the bright side, I did find a diseased monkey that might or might not have turned us into a Planet of the Apes. I hired it to work the bar. I think it's time to face facts. This Thanksgiving, we won't be eating anything with a face. It just doesn't feel like Thanksgiving without turkey. With sauces made from its death drippings. Let's face it. Without a dead turkey, it's Thanksgiving itself that's dead. The player receives "Thankless Thanksgiving Pt. 5" which is to "Make Springfielders Attend a Wake for Thanksgiving(x10)". It takes 4 hours and the player receives x10 175 and 45 (non-premium) or x10 260 and 70 (premium) in reward. Everyone seems to think Thanksgiving is all about gluttony and ceaseless consumption. A sparse, frugal and healthy meal of steamed Swiss Chard and assorted other international chards should cure them of their obsession with meat. Without dead flesh in their stomachs, Springfielders will experience a heightened sense of peace and well-being. And so will I…as I hang out with the living turkeys I've hidden in the brown house! The player receives "Thankless Thanksgiving Pt. 6" which is to "Make Sacagawea Lisa Care for Kidnapped Turkeys". It takes 24 hours and the player receives in total 600 and 150 in reward. Oh no! The turkeys are gone! They must have escaped while I was feeling self-satisfied! Except this little gobbler, who fell asleep listening to one of my many tiresome speeches to myself. Don't worry little turkey! I'll find your friends and save them from becoming part of this carnivorous festival of death! Oh…, my self-involved monologue must have put him to sleep. Maybe I can get some help from someone who actually knows about animals, instead of just talking about them all the time. The player receives "Thankless Thanksgiving Pt. 7" which is to "Make Sacagawea Lisa Take a Field Trip to Cletus's Farm". It takes 2 hours and the player receives in total 110 and 27 in reward. Cletus, chould you share your country wisdom so that I might find escaped turkeys? I knows when a city feller is talking down to me. I'm country, not stupid. You're right…I'm sorry. You're not stupid. I'm just joshin' ya. I is stupid! Powerful stupid! To catch a Turkey, you'd need a Turkey caller. Do you have a turkey caller I can...borrow? Borrow? That's communist talk! I'll trade you one for some of those foot-bags you got. The player receives "Thankless Thanksgiving Pt. 8" which is to "Make Cletus Whittle a Turkey Caller". It takes 12 hours and the player receives in total 420 and 100 in reward. What a funny looking contraption. UGH! And the sound is so incredibly annoying! Funny looking ant annoying? Is it a Lisa? The player receives "Thankless Thanksgiving Pt. 9" which is to "Make Sacagawea Lisa Call Turkeys" and "Collect 10 Turkeys"(Turkeys appear after each time Lisa completes the Turkey Call task.). It takes 4 hours per Turkey and the player receives ten times 175 and 45 in reward. What the heck is all that gobbling? Gobbling? It's…uh…goblins! Yea, goblins! Happy Halloween! Trick or Treat! Boooo! Halloween goblins? Happy Halloween everyone! Wait, this isn't the Halloween update! It's the Thanksgiving update. Umm…dad…you know how the turkeys have been missing for a while now? I kidnapped them. And then I locked them up in the Brown House. And then they escaped. And also, GO TO YOUR ROOM! The player receives "Thankless Thanksgiving Pt. 10" which is to "Make Sacagawea Lisa Go to her Room". It takes 1 hour and the player receives 70 and 17 in reward. You should be ashamed of yourself, young lady. Trying to rob Springfield of its God-given right to turkey dinner! All I wanted to do was save a few innocent lives. As further punishment, I will wear your Sacagawea costume in a scarcastic fashion. This is the worst Thanksgiving ever! No, it's the worst Thanksgiving yet. WOO HOO! Thanksgiving is back on! You mean Turkey-geddon is back on? Oh Lisa. Don't be such a Thanksgiving-pooper. At least I gave you your costume back. It's stretched out like a circus tent and smells like pork chops. So yeah, Dad, thanks. The player receives "Thankless Thanksgiving Pt. 11" which is to "Make Sacagawea Lisa Mourn Thanksgiving Turkey Massacre". It takes 8 hours and the player receives 275 and 70 in reward. Ohhh, I hate seeing my children doing a guilt-trip job. Homie... Our poor little Lisa... I haven't seen her this sad in ages. Oh fine! We can have a turkey-free Thanksgiving this year. If... I can eat a whole cow for Christmas! The player receives "Thankless Thanksgiving Pt. 12" which is to "Make Lisa Enjoy a Turkey-Free Thanksgiving", "Make Homer Endure a Turkey-Free Thanksgiving", "Make Marge Endure a Turkey-Free Thanksgiving" and "Make Bart Endure a Turkey-Free Thanksgiving". It takes 8 hours per each and the player receives 275 and 70 per each in reward. I wants you to keep this turkey as a re-ward. You know who really deserves this turkey? The real life player who wasted his hard-earned money buying imaginary pictures from a 25-year old TV show? No... Me. You were right the first time. Sign Happy Thanksgiving! Most people celebrate with turkey, but we're celebrating with donuts. The player receives "Happy Thanksgiving Pt. 1". The player receives 3 in reward. Oh my God! We got three donuts just because of what day it was? I wonder if we could reset the clock on our device, then when the machine thinks it becomes today again, we'll get another three donuts! No, cheating is when you press a bunch of buttons and get unlimited ammo. This is hacking! The player receives "Happy Thanksgiving Pt. 2" which is to "Reset the Clock on his myPad". It takes 8 hours and the player receives 275, 70, and 3 in reward. That took you a long time, Dad. Normally when you play with your myPad it's just for a couple seconds. I know, but I get confused when I have to go into the settings menu. What the hell is a DHCP? And how much is it costing me to lease it? I can't believe that trick worked. Now we can get unlimited donuts! But Dad, that would be unethical. Besides, wouldn't it ruin the fun of the game? The fun of always having to wait 24 hours? The fun of not being able to afford things? The fun of not being able to grow crops because my corn still needs 50 days? Screw fun — I'll take the unlimited donuts. And more importantly, I can post a video of me doing it on the Internet and get like a zillion views! Finally people will realize I'm a genius at computering! The player receives "Happy Thanksgiving Pt. 3" which is to "Make Homer Post his Hack on the Internet". It takes 60 minutes and the player receives 170 and 27 in reward. Wow Dad, your "How to get Unlimited Donuts" video is getting a lot of hits. I know. Move over "Puppy on a Piano" -- there's a new Most Watched Video in town! I'm a Internet celebrity... and that never goes away! The only problem is, the popularity of your video is sure to attract the attention of EA. I bet they can put out a patch that fixes that problem pretty quickly. In fact, I bet they're doing it right now. AUGHHH!!! Where's my myPad?! I've got to get my donuts! The player receives "Happy Thanksgiving Pt. 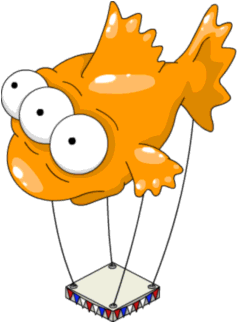 4" which is to "Make Homer Reset the Clock on his myPad". It takes 45 seconds and the player receives 103 and 11 in reward. Hey folks, Thanksgiving's over! Which means it's a salesman's favorite of days... Black Friday. Oh no, they fixed my hack. And even worse, Gil's here. I hate this stupid game! There's probably a lesson to be learned in here about cheating. There sure is. If you do it, don't post it online until you've fully exolotied it for yourself. I wonder if I could have still selected "Reset the Clock" from my job list when my quests was "Post Hack on the Internet"? Excuse me sir, is this Springfield? 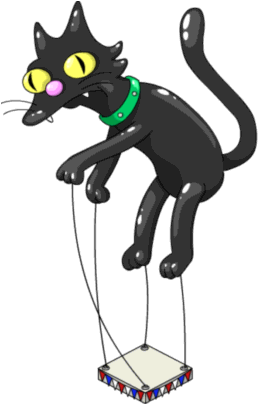 U-huh... You new? I ain't never seen your kind 'round here 'fore. Fancy tie, suede jacket... I KNOWS! Y'allz one of dem preem-yam characters I'z been hearin' 'bout! Oh just ignore him, he's the local yokel - one of many beloved American stereotypes. Speaking of stereotypes, you must be here to help celebrate this year's Thanksgiving? No, actually I'm here on business. 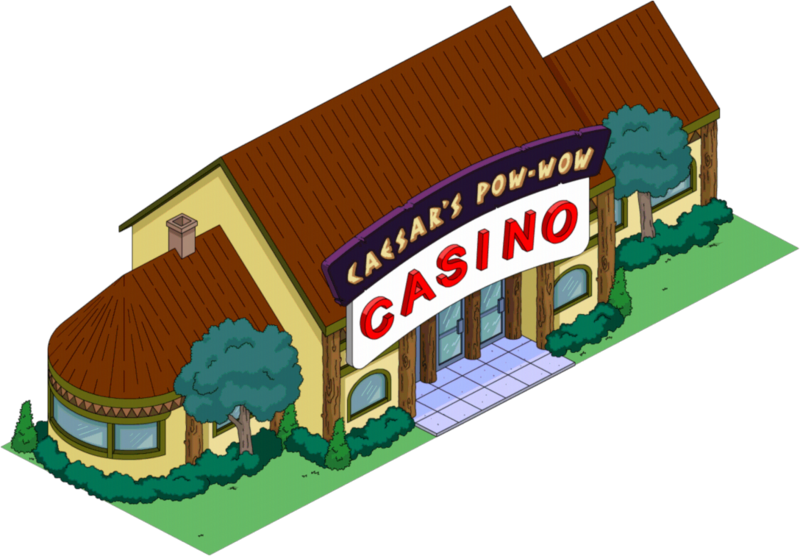 I run the new casino and would like to learn a little bit about Springfield. A Native American opening a casino, eh? No stereotypes that I can see there. The player receives "God Bless Native America Pt. 1" which is to "Make Tribal Chief Learn about Springfield's Culture" and "Make Homer Teach about Sprinfield's Culture". It takes 12 hours each and the player receives total 805 and 186 in reward. So that's everything there is to know about out little town! Hmmm... that took far less time then I'd anticipated. Yes. Like most colonial towns, Springfield stole the staggering majority of its cultural heritage from other people. Except the Harlem Shake! We invented that. I'm really excited to see Native America finally represented in our town Chief! Thank you Lisa, it's nice to feel welcome in spirte of my current price point. Speaking of money, would you like to help me get started on my mission to break down the walls of cultural insensitiviy and ignorance? I'd love to! What would you like me to do? Hand out pamphlets? Organzie protests? Burn an effigy? I've always wanted to burn an eggify. No, no. Nothing quite so involved. I just need an unpaid voulunteeer to help me deliver Casino Vouchers. ...for some kind of a unification ceremony? No, to advertise the casino. Social Security checks come today, and I want to fleece the olides before they have time to desposit their money. *sigh* I'm tring to like you, but you're not making it easy. The player receives "God Bless Native America Pt. 2" which is to "Make Tribal Chief Hand Out Expired Vouchers". It takes 24 hours each and the player receives total 1,100 and 235 in reward. I think it would be a great idea for you to say hello to some of the local business owners. They hold a lot of clout over what goes on in Springfield. Did I just hear a gun go off inside that convenience store? The player receives "God Bless Native America Pt. 3" which is to "Make Lisa Visit the Kwik-E-Mart" and "Make Tribal Chief Visit the Kwik-E-Mart". It takes 60 minutes each and the player receives total 275 and 53 in reward. If it isn't Lisa Simpson. It is good to see you again! Please forgive the bullet holes. We're, uh... re-decorating. With holes. And who is your middle-aged friend? This is Chief... Um... I'm so sorry! I just realized I don't know your name! Just call me Chief. It got too hard for my tribe to think of decent names after a while. Just ask my brother Bad Smelling Wind. Or my cousin Really Bad Smelling Wind. Wow! 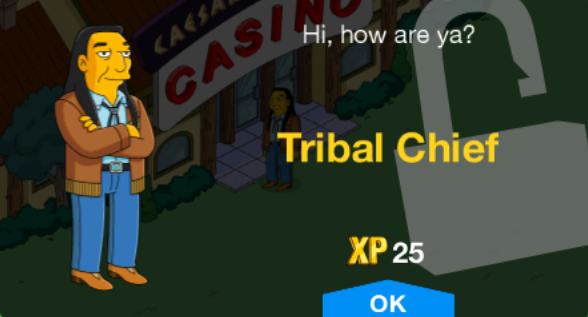 A native tribe and its casino in Springfield! How exciting! This is the most excellent news! It pleases me that you feel so warmly towards native Americans. Anything to get these racist crackers off my back. I'm sorry about all these terrible jokes Chief. You're not really getting the writers when they're at their best. Kind of dregs, really. Speaking of dregs, let me introduce you to Comic Book Guy. On behalf of my people: The Nation of Obese Nerds of Comic Book Reatail, I welcome you to Springfield! I have learned much of your people's struffle from the countless minor comic book characters of native origin. This includes Captain Tomahawk, Mohawk Man, The Pow Wow Puncher and my personal favorite, Firewater Man. It would be my honor if you were to join a brief 'Q & A' gathering inside my shop. The player receives "God Bless Native America Pt. 4" which is to "Reach Level 13 and Build Android's Dungeon", "Make Lisa Visit the Android's Dungeon" and "Make Tribal Chief Visit the Android's Dungeon". It takes 8 hours each and the player receives total 795 and 185 in reward. That place smelled worse than the sweatiest sweat lodge. Maybe we should visit someone a little less entertaining next. The player receives "God Bless Native America Pt. 5" which is to "Reach Level 15 and Build Moe's Tavern", "Make Lisa Visit Moe's Tavern" and "Make Tribal Chief Visit Moe's Tavern". It takes 3 hours each and the player receives total 435 and 100 in reward. Chief, meet Moe Szyslak. Moe, the Chief is a manager of a Native Casino that's just moved into town. Well, I guess I'll finally have to stop organzing illicit after-hours poker games at the bar. Oh don't worry, we're not here to compete with your illegal business. You are truly a monster. I'm so embarrassed by this town. You must think Springfield is the most backward place in the world. No idea. Just making conversation. Honestly, I would do anything to leave this place right now. Unfortunately there are no roads leading out of town. You can't build them that way here. They can trap my body, but they can't trap my mind. The player receives "God Bless Native America Pt. 6" which is to "Make Tribal Chief Embark on a Vision Quest". It takes 8 hours and the player receives total 430 and 115 in reward. Sir! Is that your Casino parked over there? Yes. Yes it is. Why do you ask? May I see you license, registration and a certificate of insurance? I have only just arrived in town. I'm afraid I don't have any of those things. in that case you should know you're contravening the Springfield Gaming and Gambling statute. Specifically you're in violation of section 3, subsection 8 paragraph 391. And yes, I did memorize that bit of the law just in case an unlicensed native casino arrived in town unexpedtedly. Typical. I've only just arrived and already I'm being harassed by cops. Tell you what, I'll hold off on giving you a citation. But I will need to inspect the premise for any, errr... illegal actitity. The player receives "God Bless Native America Pt. 7" which is to "Reach Level 17 and Build the Police Station" and "Make Wiggum Have Fun at the Native Casino". It takes 24 hours and the player receives total 1,100 and 235 in reward. Now that is what I call a buffet. Shrimp, lobster claws, crab legs... and the muffins! They're bigger than at Pechanga! No one's muffins are bigger than Pechanga's, but that you for the compliment. Dad, I'm worried the Chief doesn't like it here in Springfield and wants to leave. Oh Lisa. The Chief is now as much part of this town as you and I are. Where's he gonna go? Clash of Clans? I don't think so. And what if that endless objective can't be rushed with donuts?! The player receives "God Bless Native America Pt. 8" which is to "Make Lisa Fret About Native American Relations" and "Make Homer Fret About Native American Relations". It takes 6 hours and the player receives total 550 and 120 in reward. Lisa – I had a vision quest! Matthew Modine fell in love with Linda Fiorentino. I think you just saw the movie “Vision Quest”. In the movie does Matthew Modine have super powers including super-stretching and super-strength and invisibility and sometimes flying? And is Linda Fiorentino a talking frog? Maybe you did have a vision quest. I think we need to talk to the chief before he leaves town!!! The player receives "God Bless Native America Pt. 9" which is to Make Tribal Chief Attend a Corporate Meeting" and "Make Lisa Bust in on a Corporate Meeting". It takes 4 hours. ...as this graph indicates, during the last quarter our video lottery terminal profits soared like an eagle! I'm sorry to interrupt your meeting! I just wanted to make sure you didn't leave without considering everything the town has to offer to you and your tribe! Leave? But Lisa, I would never leave a town that had a person like you in it. Really? Thank you. But why me? Because unlike the rest of the dolts in this town, you have a future. You will grow up to do something great, and no doubt make a fortune. And then you will visit the casino and we will get a large chunk of that fortune from you. WOO HOO! The Chief is staying! *sigh* Chief, I'm still having trouble liking you. So all this talk about lifting Springfield out of its cultural poverty wasn't true? I think you misunderstood Lisa. The fact that my business is doing so well is proof that our efforts here have been fruitful! I'm not sure I'd call ‘Living it up at the Casino' a real cultural exchange….When you think about it, casinos are actually a regressive tax on the disadvantaged. Money is extracted from the poorest and most vulnerable of the community with little contribution to the local tax base because all the profits go to the tribe. The player receives "God Bless Native America Pt. 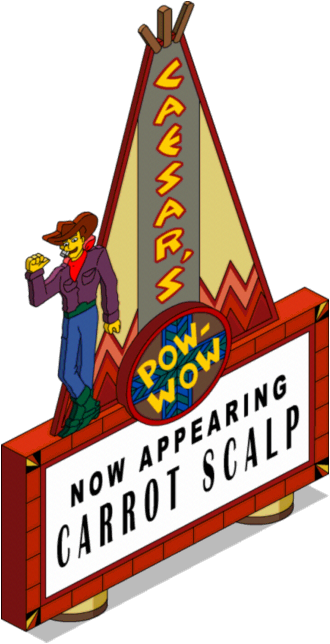 10" which is to "Make Springfielders ‘Live it up' at the Native Casino" (x10). It takes 12 hours and the player receives total 6,100 and 1,510 in reward. From the November 29th is Gil giving a offer. The Duff Brewery, Springfield Sign and 50,000 for 300. Gil just come to your town if you don't have the Duff Brewery and the Springfield Sign. Hey, has Ol' Gil got a Black Friday sale for you! You probably don't need it, or even want it -- heck, it may not even be that good of deal. But it's Black Friday, so you'll thin it is. And you'll buy it! The sale sign pops up. Well, if you change your mind you can find the deal in the premium item menu. Although I don't get paid a commission when you buy it that way. Okay, Gil. Just like you rehearsed. No, not you again! You're the most annoying thing in this town! You know everyone hates you, right? Because you're an ad. We're people, who do funny things and earn money. But you're just an ad. Aw, jeez. I'm just trying to pay for my kids' braces! UGH! Shut up, and just tell me what you're selling already. The Duff Brewery, complete with Duffman. 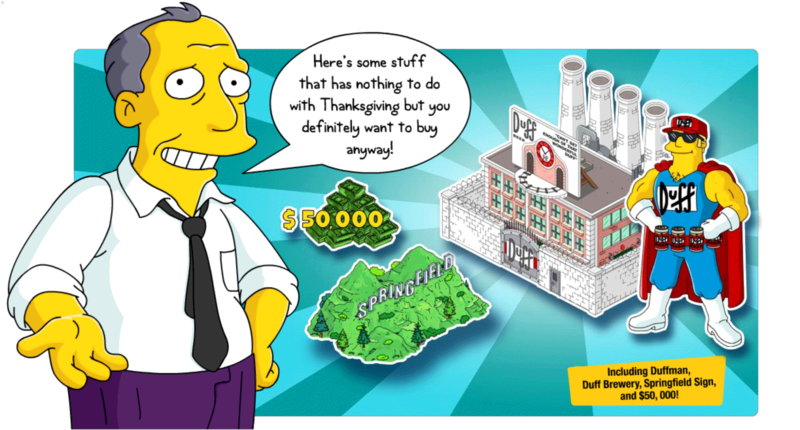 Get the Duff Brewery, complete with its manic corporate shill, Duffman! You sir, do you enjoy a Duff? Well, I have been known to enjoy a celebratory glass on occasion. Did you realize that no one is brewing it anymore in Springfield? We could run out at any time! I'm sorry I said all those mean things about you, Gil. Aw, it's fine. Maybe you can buy me a Duff next time I come back. Is the Duff supply safe? 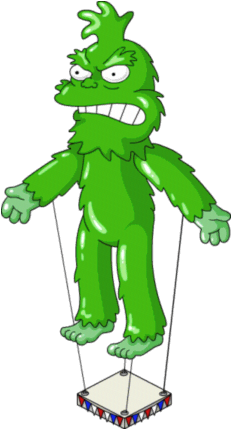 Thank you giant Sky Finger, you've saved our Springfield! Well, if you change your mind you can find the deal in your premium item menu. Hey. HEY! Yes, you! The Sky finger. 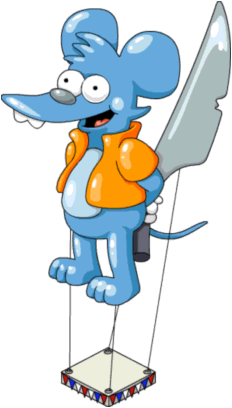 If you let this town run out of Duff, you'll be sorry! There's probably enough Duff stockpiled to last any normal city a 50 years! "Can't get enough Duff? Brew more today!" Modified on April 27, 2017, at 08:12.